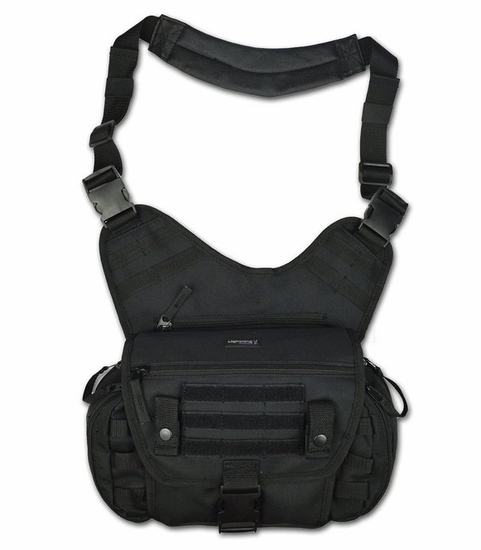 The MB15 packs are versatile shoulder bags with a practical design and a tactical feel that can be used in multiple applications. 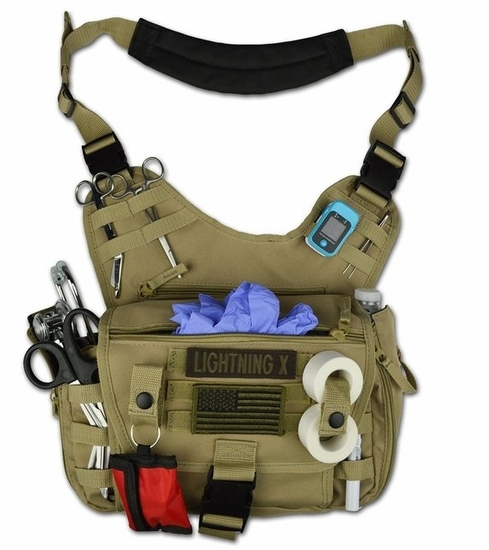 Real world uses include military, law enforcement, EMS, special events first-aid, gun range, hiking, fishing or as a general day bag. The MB15 fits over one shoulder with an adjustable, ergonomic padded shoulder strap, which is also removable with two quick-release buckles. Each side flap, main cover and two side compartments include nylon webbing molle loops which provide multiple options for attaching gear and storing tools. The front three rows of molle loops are covered in hook & loop material for attaching name plates and custom patches. 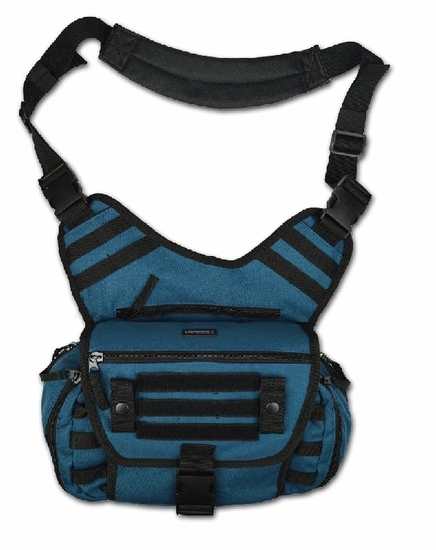 The main compartment opens to reveal four elastic mesh pouches, two zippered pockets, three pencil pouches and three elastic loops. 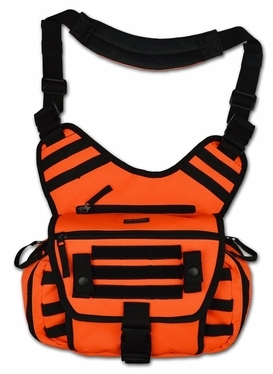 Two dual-zippered side compartments will hold a standard water bottle, but also include mesh pouches and elastic loops so they can be customized to fit the users' needs.